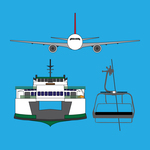 Depends on how long the Yakima is out of service. 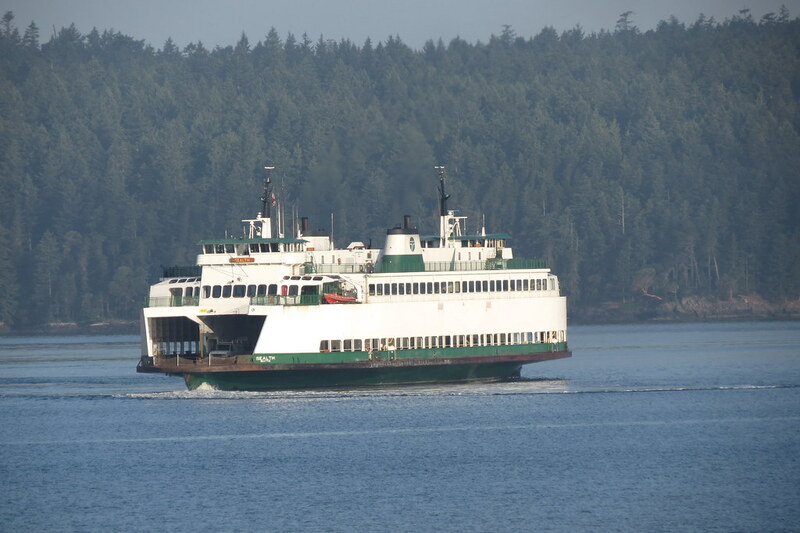 I suspect once the Yakima is back in service the Sealth will return to Vashon. 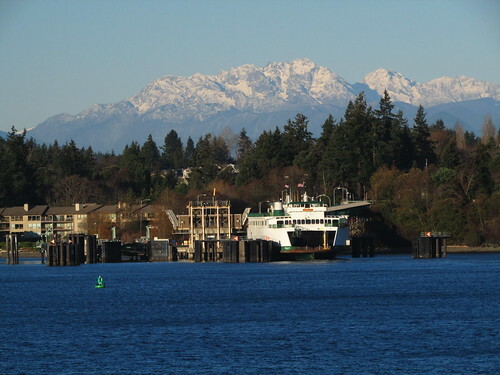 Sealth arriving Southworth during last week's wonderful weather. 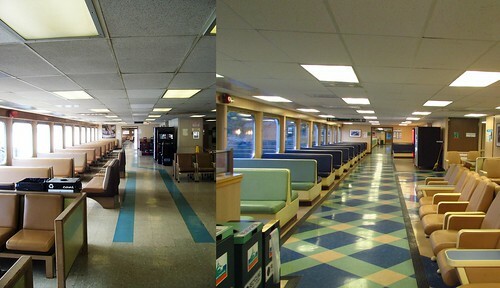 Here's the original interior of the Sealth (I took them in 2005 or so) side by side with her current interior...A much needed improvement! 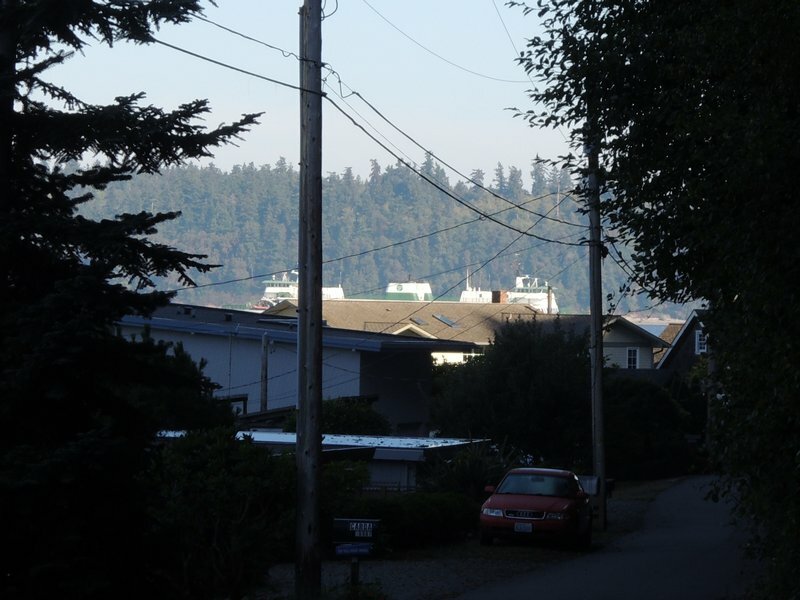 A series of my better double-Issaquah shots. 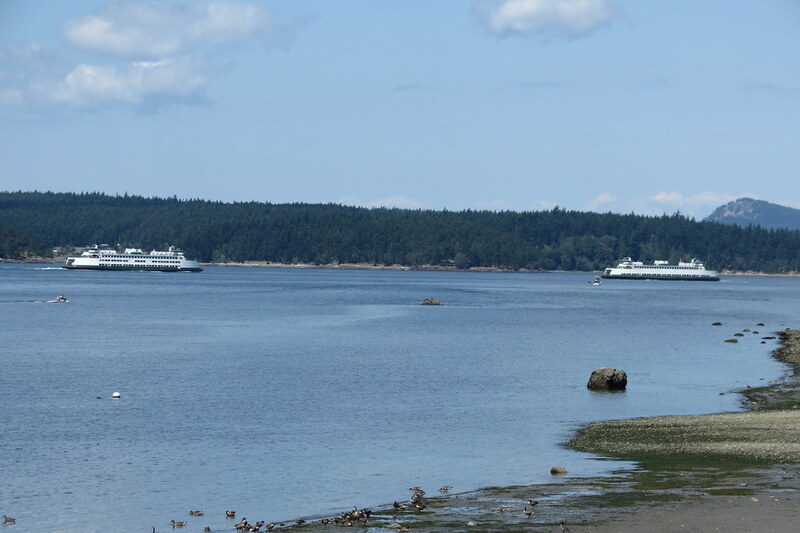 This is the second day that I captured the passing of these two ferries. 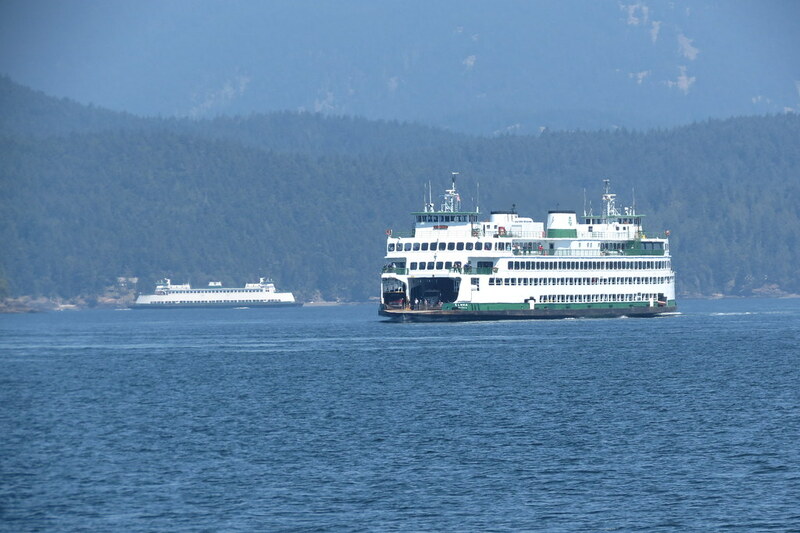 I was trying to get shots of the Sealth with an Issaquah-130 to post on Wikipedia, showing the differences between the Issy-100s and -130s. 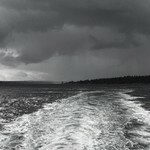 The works of man are small compared to the works of God. 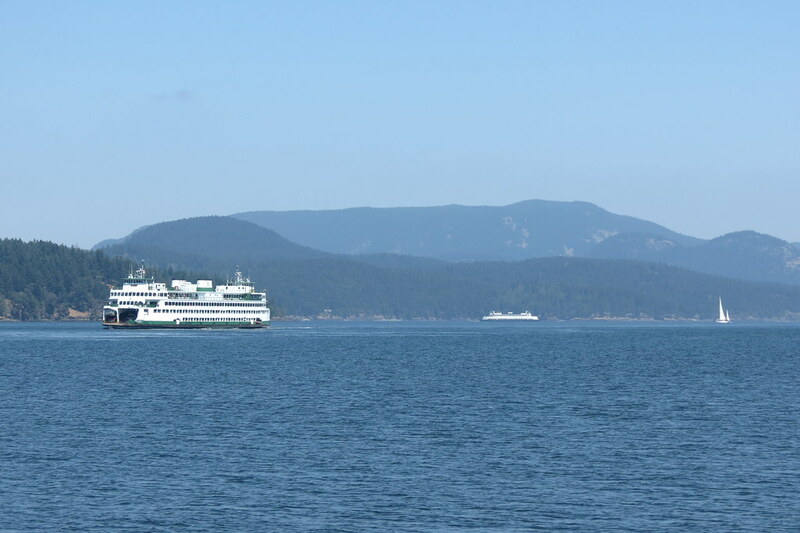 These seemingly huge ferries look tiny compared to the mountains and waters of the Salish Sea. 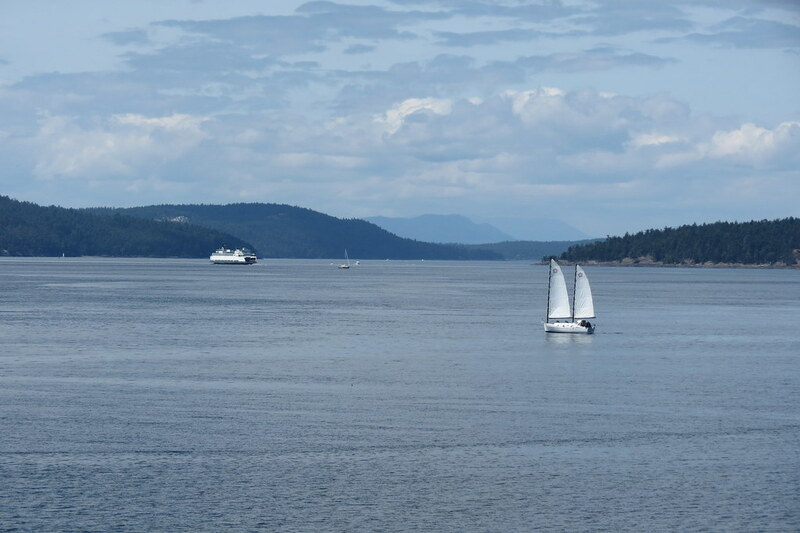 That is a great photo to show the comparison of the original and modified vessels. 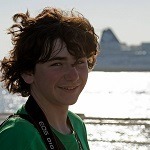 Thanks for doing that photography work to get us this (and the others) shot. 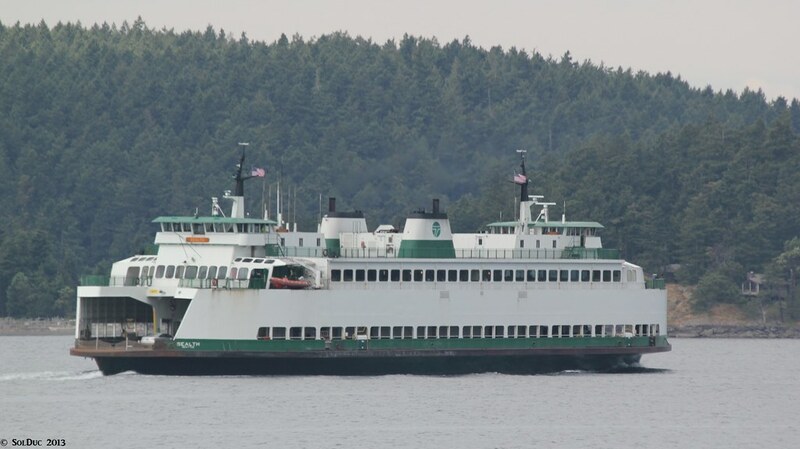 Apparently the Sealth is going to be back on the Seattle-Bremerton route next week. 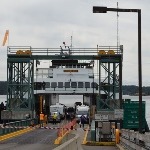 It's replacing the Kitsap. 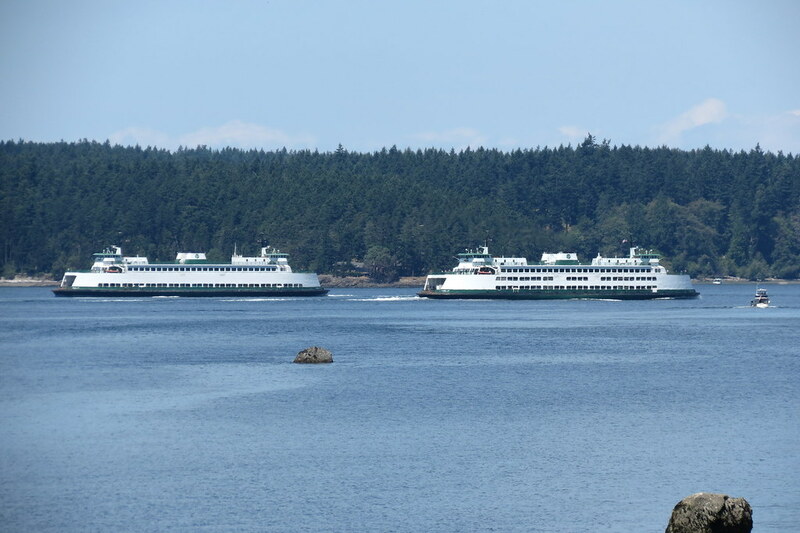 Why can't WSF just be smart and put it at Vashon instead of Bremerton? 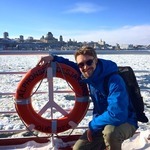 I know that it would also have an impact there but its way less important when the next boat comes in less than half an hour rather than one (or more) hour! 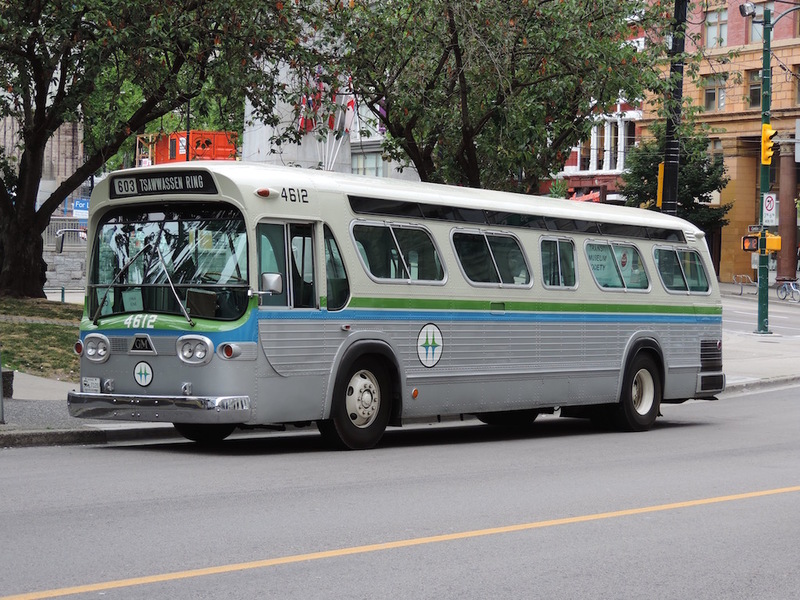 A least the Walla Walla is on the route. 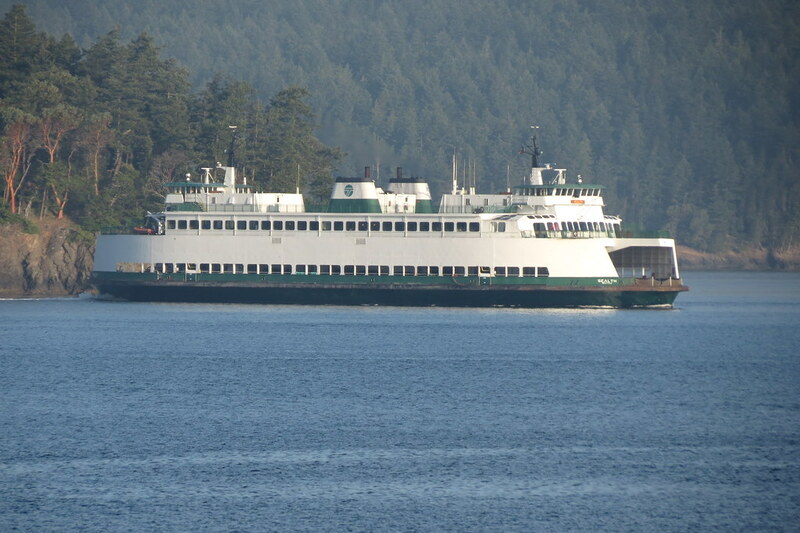 Hopefully, I will be able to go Seattle next week to catch her on the route. 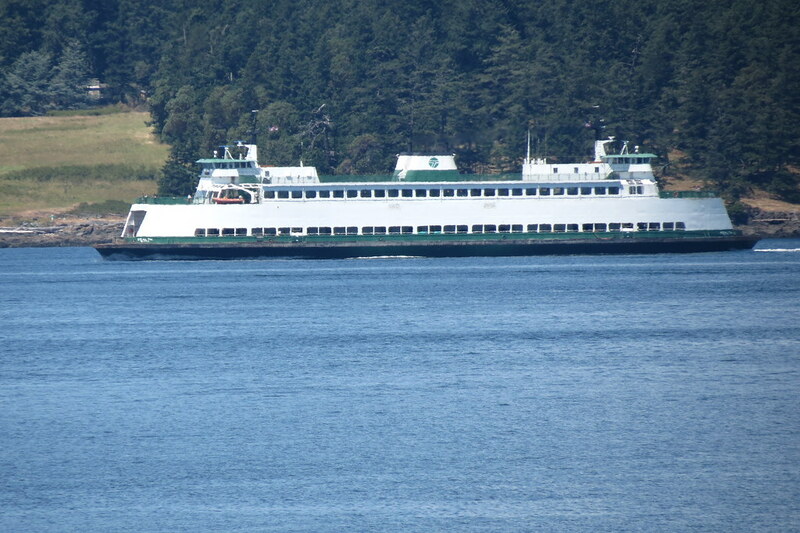 The MV Sealth approaching Vashon Island from the Melissa Ann last Friday. 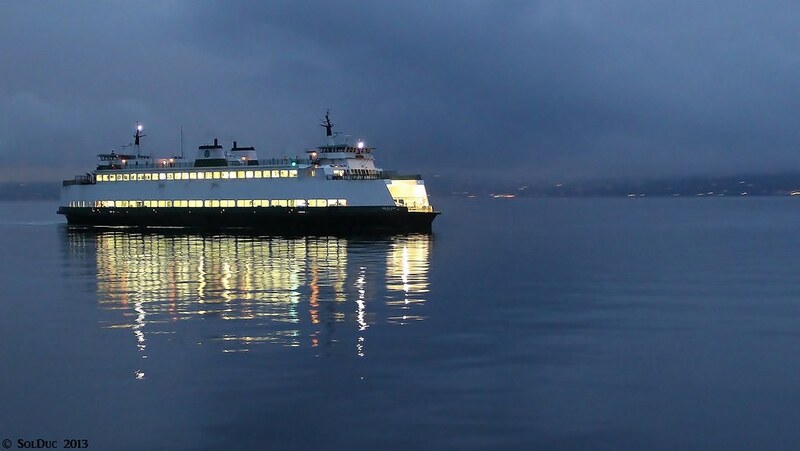 Love those reflections on the water! 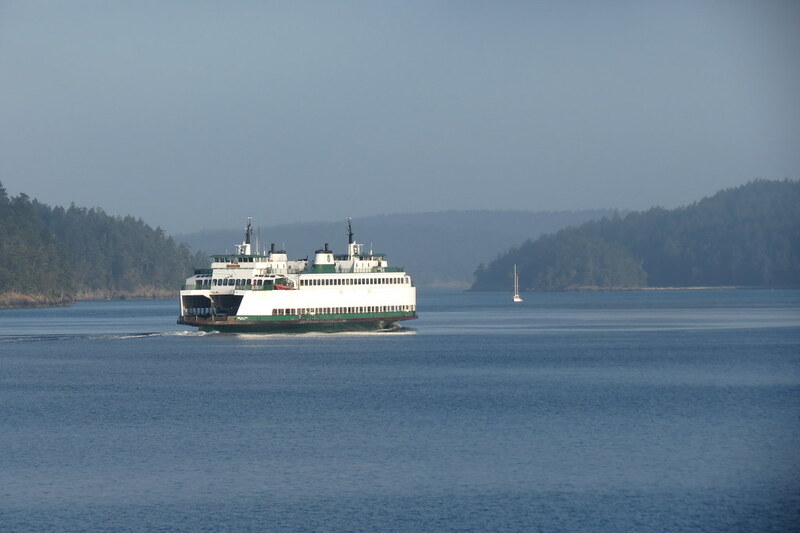 WSF is putting the Sealth on the Seattle to Bremerton route along with Kaleetan from November 4th to November 11th. 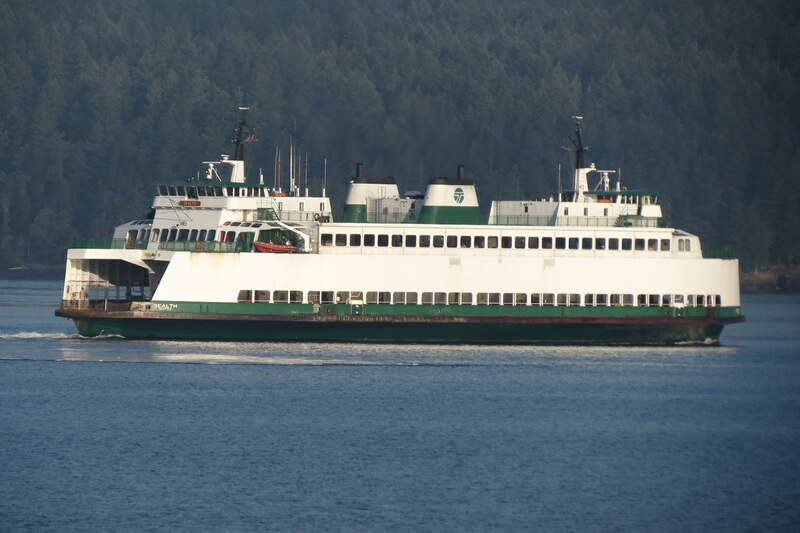 Sealth will replace the Kitsap will she operates on Fauntleroy/Vashon/Southworth to replace the Issaquah. 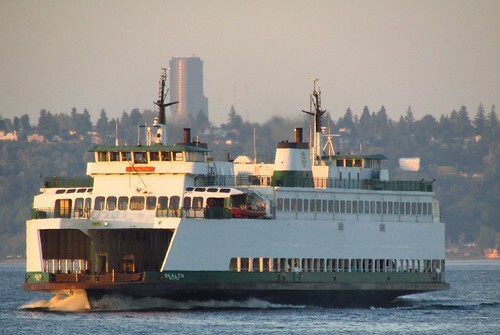 Does the Sealth not leave that many cars behind when she operates on this route with a Super? 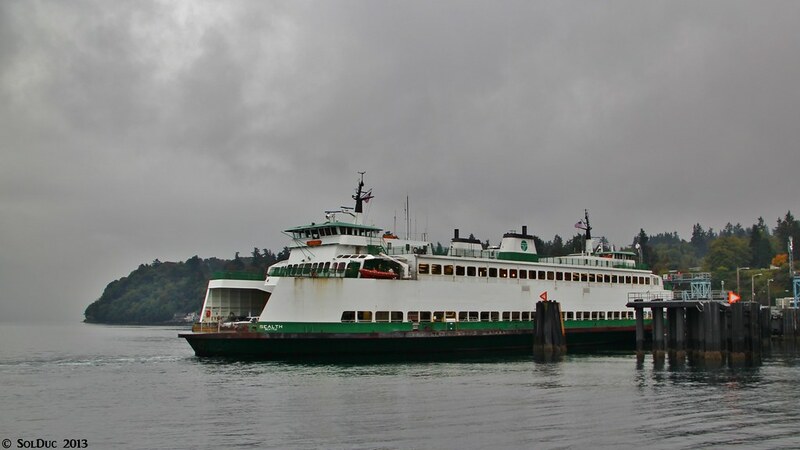 Why did WSF schedule maintenance for the Chelan at the same time as the Issaquah? What were they thinking? 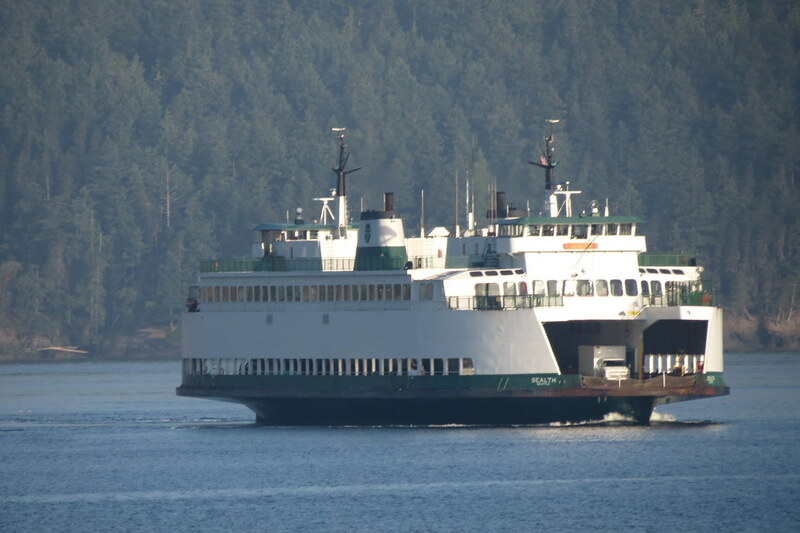 If they had scheduled those vessels' maintenance times for different periods, then the Chelan could've replaced the Kitsap on the S/Brem route. 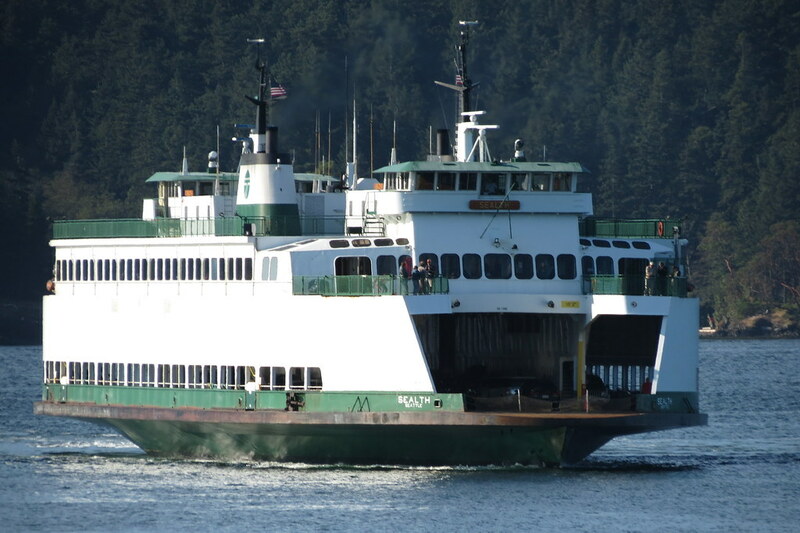 Why do they always have to throw Bremerton under the bus? 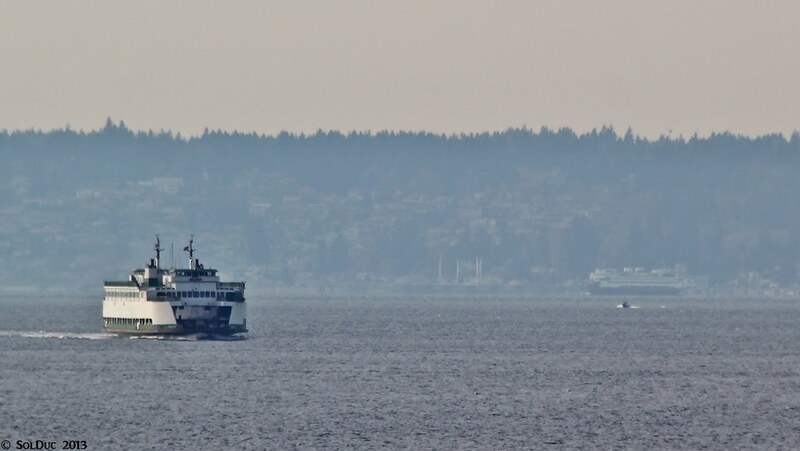 EDIT: Well the bright side of this is that the Sealth will be serving her namesake city, Seattle. 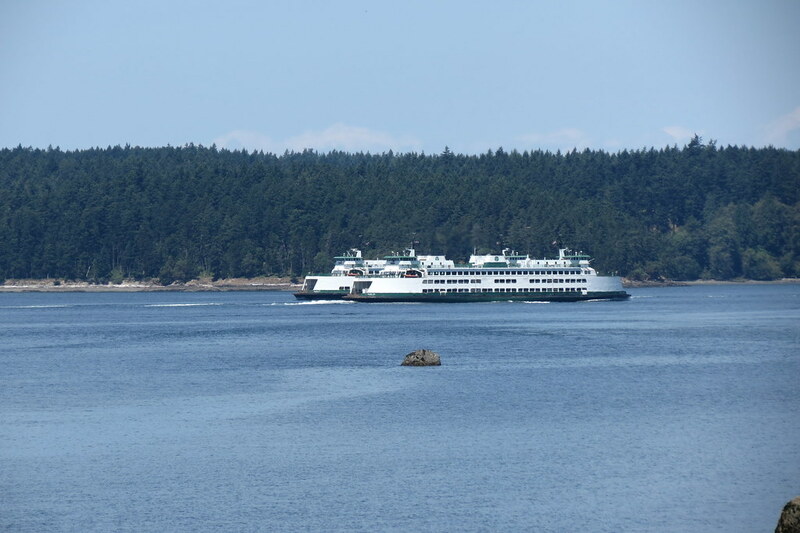 If it were up to me, I'd send Sealth to Vashon and keep the Kitsap at Bremerton. 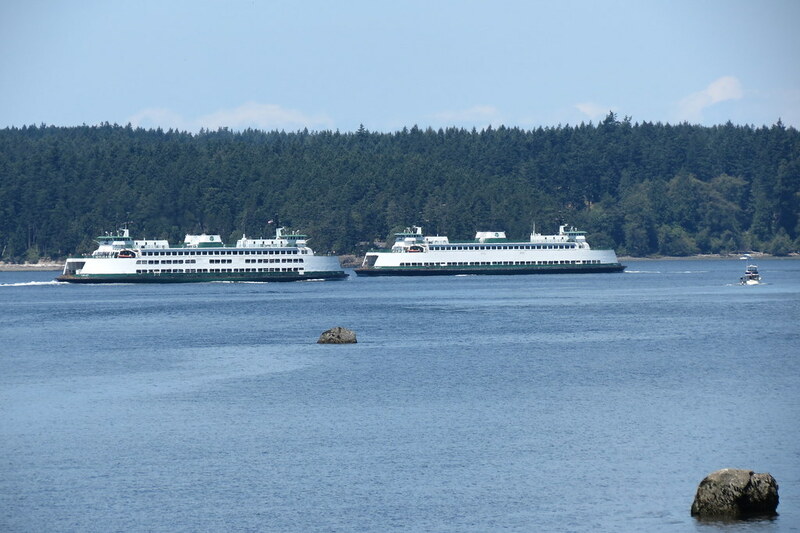 A couple of months ago, the maintenance schedule showed the Issaquah being replaced by the Sealth instead of the Kitsap. Why that got changed I don't know. 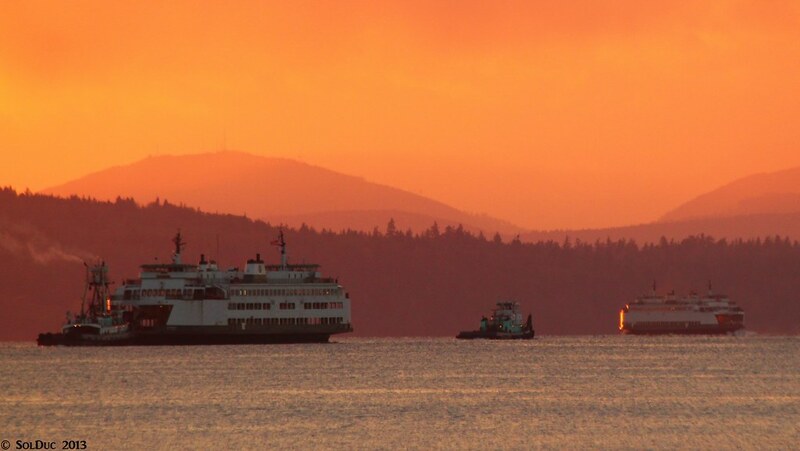 And a final shot, with different tones of Orange in the foothils of the Olympics, an effect which I like a lot. 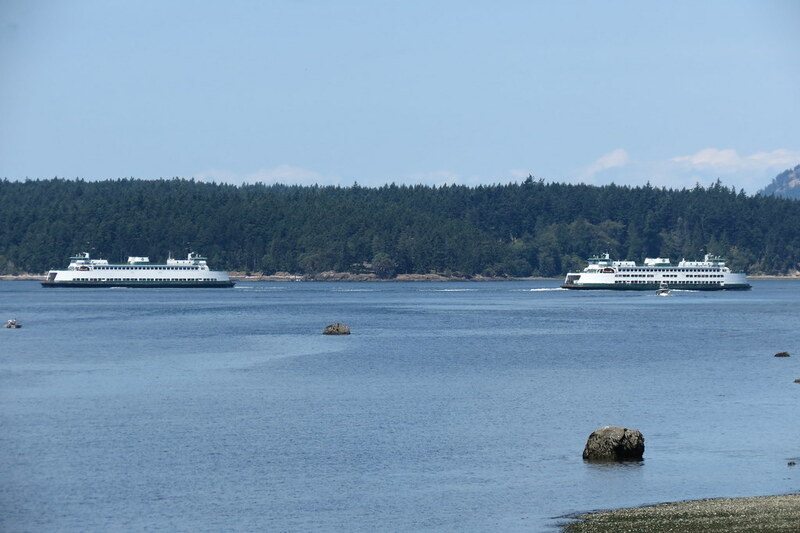 Why would they tow the Kitsap to Vashon Island when the other boats run under their own power? 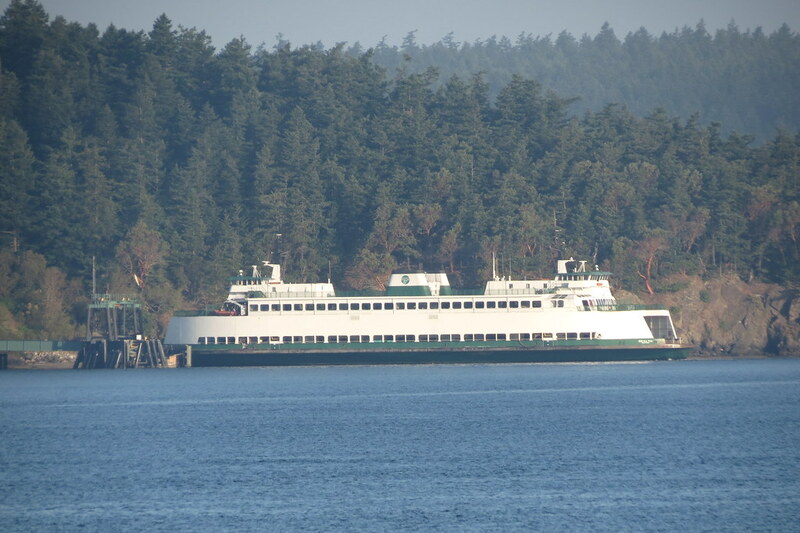 Here is the Sealth at Winslow yesterday. 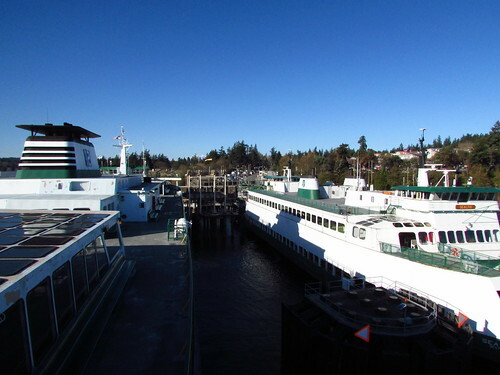 The Coast Guard was doing a modified annual inspection on the Tacoma to extend her COI for another month and the Sealth did several round trips while the Tacoma was tied-up. 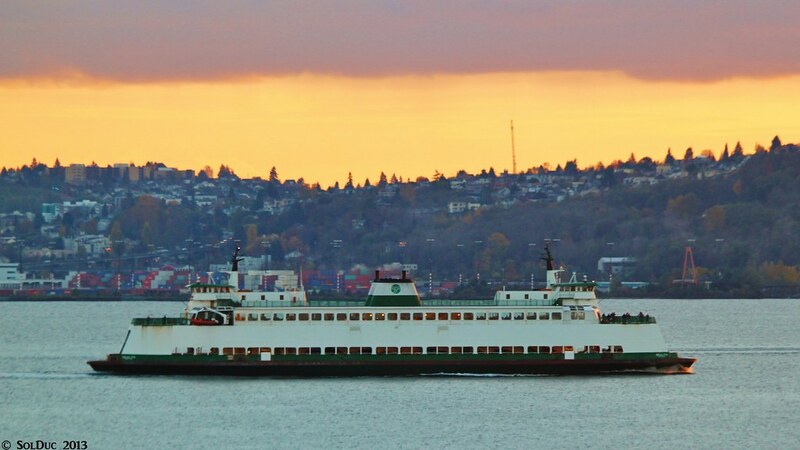 Is that a 12th Man omen for the Seahawks on the funnel of the Tacoma? If so, awesome. It, is, indeed! 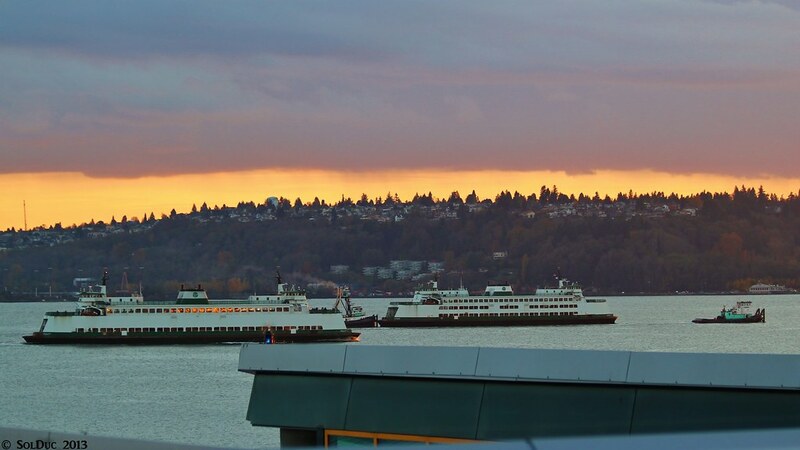 Glad to see WSF get into the 12th Man spirit. It was most awesome to watch the Seahawks blow out The Saints Monday night. I think a lot of people, including myself, thought it would be a really close game - guess we were wrong! Seattle is now 11-1, the best team in all of the NFL right now. Go Hawks! 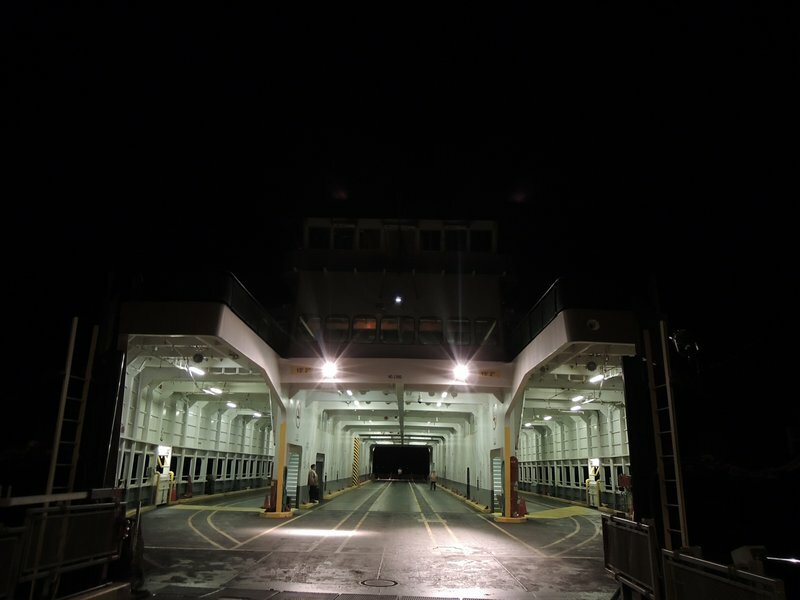 Jeez with the lack of outside deck space on the Sealth that must of been fun on a busy route like Bainbridge! 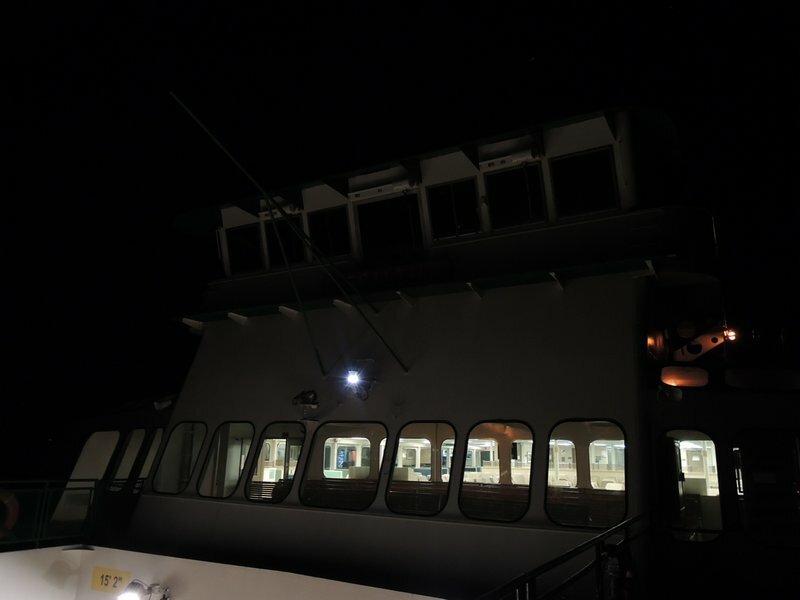 The Spokane is also in the 12th man spirit, they fly the flag under the American flag and in the galley the Seahawks game was on, over the speakers of course.